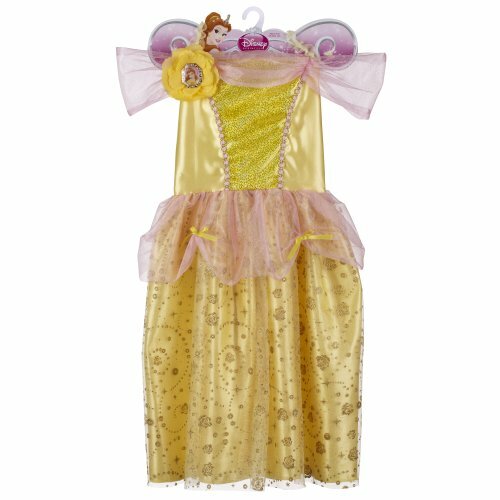 Dress up your little girl like her favorite Disney princess with this Belle dress. It's a pretty yellow and pink with overhanging pink gauze. A sparkling design covers the skirt, catching the light with every motion. The easy-close fastener lets your youngster slip into and out making use of the gown on her own, so it's ready for wear whenever she wants to wear it. 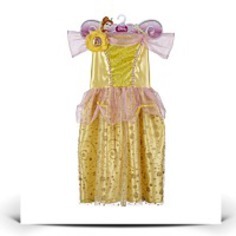 This is a great gown for a costume party, Halloween or dress-up playtime. Dimensions: Height: 30" Length: 16" Depth: 1"
Package Dim. : Height: 1" Length: 12" Depth: 8"